MainAll NewsInside IsraelIs Turkey waging an economic war against Israel? Is Turkey waging an economic war against Israel? Kulanu MK warns against cheap Turkish products flooding the Israeli market, threatening factories - and even entire industries. 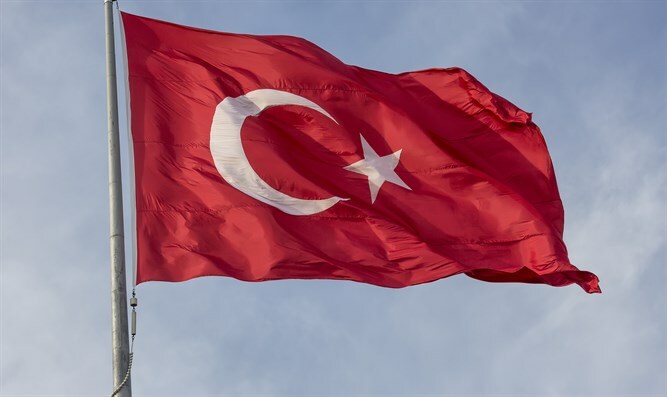 Does Turkey consciously wage an economic war against Israel? This possibility was raised in a Knesset debate on the relations between Turkey and Israel, during which this reasoning was voiced by MK Mickey Levy (Yesh Atid). He explained his position to Arutz Sheva. According to him, the current reality is that a number of Israeli factories were about to fire workers as a result of the cheap imports from Turkey flooding the Israeli market. He brought as an example the “Phoenicia” glass factory in Haifa, where 240 workers were to be fired in the face of imported glass from Turkey. The same was true of the “Hartuv” cement factory in Beit Shemesh. "If the Turks flood the market with cheap cement, this plant will collapse." Is this a Turkish trend focused on Israel or is it Turkey's economic policy towards all the countries of the world? The Knesset member has no intelligence, as he puts it, but he wants to examine the precedents in the world, such as Italy, where the export of cheap Turkish glass led to the collapse of the Italian factory, after which the Turkish factory acquired the Italian one and then raised the price of the glass - which until then had been low. “This can happen with us, too. Maybe we will get cheap merchandise now, but in the future the plant will close and the prices will rise because it is impossible to stay in this price range over time. " "Beyond that, can we make do with purely external products strategically? And this is the problem, that one day we will be without factories and production capacity, thus also agriculture and other markets will shut down for political reasons." And what about imports from China or Korea and other countries, which are also cheaper and could seriously hurt the Israeli market? "When we import from China and Korea, these are things that are lacking in the local market, but from Turkey they bring materials that flood the local market because of the short distance, it collapses Israeli industry." In his remarks, MK Levy praised the activity of Minister of Economy Eli Cohen (Kulanu), who "rose to the occasion and limited the imports from Turkey in one form or another, by imposing anti-dumping duties, but that is not enough. That can solve the problem of several factories, but there are new factories,” he said.